Did you know about…the Battle of Jutland? Did you know that this week marks the centenary of the Battle of Jutland? Involving over 250 warships, Jutland was the largest naval battle of the First World War, and one of the largest sea battles in history. The battle was the culmination of an almost 20-year naval arms race between Britain and Germany. In the late 19th Century, German naval commander Admiral Alfred Von Tirpitz (with the support of Kaiser Wilhelm II) began to increase the size of the German High Seas fleet. This build up was seen as a serious threat by the Royal Navy, who maintained a fleet as large as the next two largest battle fleets (the ‘two-power’ standard). In order to meet the German challenge, the British increased battleship production, culminating in the launch of HMS Dreadnought in 1905. A technological revolution, Dreadnought was larger and faster than any other battleship afloat and had two-and-a-half times the firepower, mounting a total of ten 12-inch guns to the average of four ‘big guns’ on preceding battleships. Dreadnought was followed by HMS Invincible, the world’s first battlecruiser (battleship-size hull and armament, with cruiser speed and protection) in 1908. Germany responded by building her own ‘dreadnought battleships’ and battlecruisers, beginning with the launch of the Nassau and Von Der Tann launched in 1908 and 1909 respectively. By the outbreak of the war, Britain could boast a fleet of 29 dreadnoughts to the 17 German vessels. It was expected that these two powerful fleets would immediately engage one another in a pitched battle that (in the words of Churchill) could decide the outcome of the war in a single afternoon. Instead, the two great fleets sat at anchor, with the British Grand Fleet conducting a long range blockade of the North Sea with skirmishes being fought between small groups of vessels. Knowing that they could not fight the Grand Fleet head on, the Germans drew up a plan to draw out a small portion of the British Fleet (such as the battlecruiser force) by using its own battlecruisers as bait to lure them into the guns of the entire High Seas Fleet. The German battlecruisers, under the command of Admiral Hipper set out at approximately 01:00 hours on the 31st May 1916, 90 minutes ahead of the main German Fleet (16 battleships; 5 battlecruisers; 6 pre-dreadnoughts; 11 light cruisers; 61 torpedo boats) under the command of Admiral Reinhard Scheer. Unfortunately, the British had cracked the German codes and the entire Grand Fleet (28 battleships; 9 battlecruisers; 8 armoured cruisers; 26 light cruisers; 78 destroyers; 1 minelayer; 1 seaplane carrier), commanded by Admiral John Jellico, had already departed their harbour at Scapa Flow two and a half hours earlier with his battlecruisers (under Admiral David Beatty) acting as advance scouts. fire about 25 minutes later. 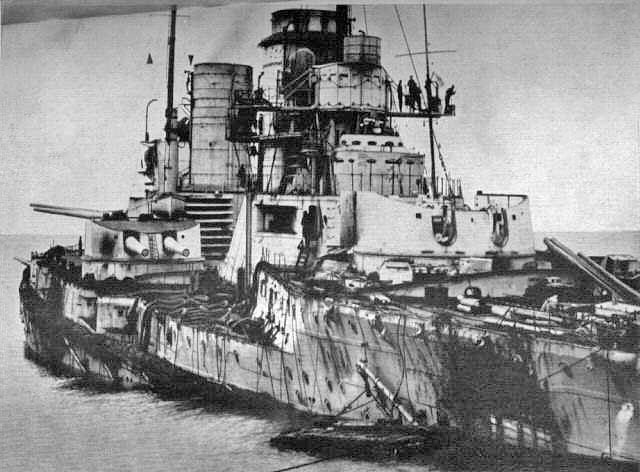 Though the British would lose both the HMS Indefatigable and HMS Queen Mary, they successfully lured the Germans north into the waiting guns of the Grand Fleet. The battle raged through the night, with the German’s performing two ‘battle turn-away’ manoeuvres before finally breaking contact and escaping. Far from the decisive action that both sides had expected, the battle was as much of a stalemate as the trench warfare on the western front. 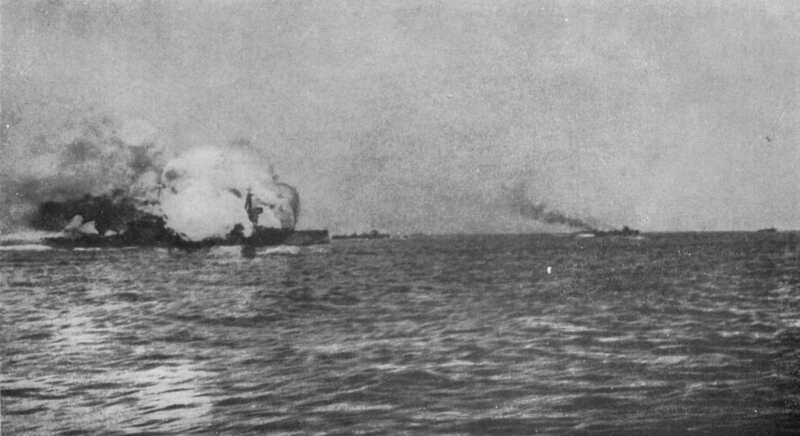 Both sides would claim victory in the battle, with the German’s achieving a ‘tactical win’, sinking three battlecruisers, three cruisers, and eight torpedo boats and destroyers, almost twice their own losses (one battlecruiser, one pre-dreadnought battleship, four light cruisers and five destroyers). The Royal Navy however, could weather these losses thanks to its fare greater size, and more importantly, retained strategic control of the sea for the remainder of the war. Why not read more about the ships that fought in the battle or check out some documentaries on naval combat.